PROFAUNA Indonesia engaged the people of Magelang, Central Java, to become more aware of the importance of Javan Langur protection. PROFAUNA's activists staged a public campaign event in downtown Magelang on Thusday (1/3/2018). During the campaign, PROFAUNA's activists had a theatrical act to show people how primate poaching is done. 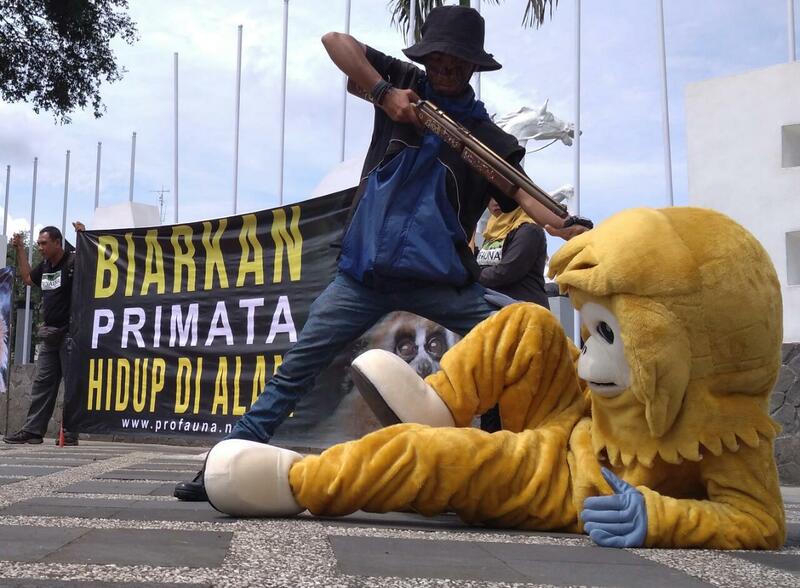 One activist wore a primate costume while being hunted by a 'poacher'. The campaign was held because primates, including the Javan Langur (Trachypithecus auratus), are being severely threatened by illegal trade, in addition to habitat destruction. 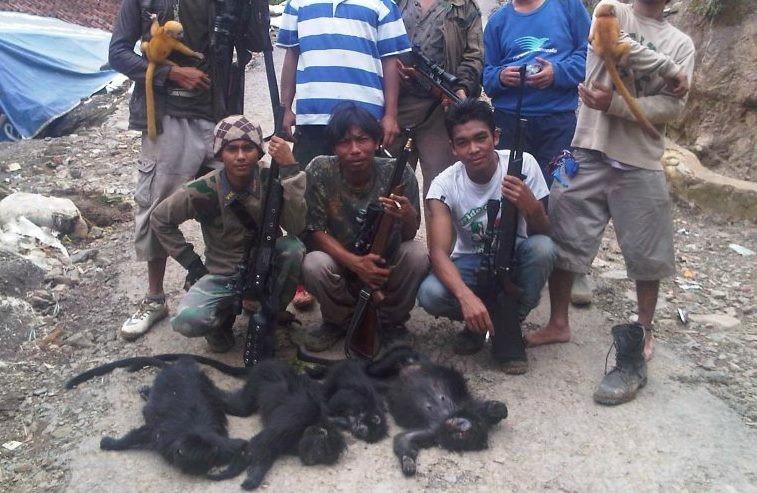 More than 95% of the traded primates in Indonesia were captured from the wild. The capture, transport, and trade process are often time very cruel. Lots of primates die before reaching buyers. One of the most frequently traded primates is the Javan Langur. This species can easily be found sold online for IDR 500,000-1 million each. Illegal trade has aggravated the Javan Langur's condition along with habitat loss. "The Javan Langur is among people's favorite wild animals, which is why we can find them easily in online markets. As long as there are buyers, people will keep selling," said Muhammad Jayuli, the coordinator of PROFAUNA Magelang. Apparently, most people are not aware that keeping primates as pets at home increases risk of zoonotic diseases (diseases transmittable from animals to human) such as tuberculosis, hepatitis, and herpes. Keeping them in the wild is the best measure to ensure their survival and to maintain our health. "PROFAUNA has not found Javan Langurs being traded in bird markets in Magelang, but there are a lotof them being sold online in Central Java. Magelang is among the potential markets," added Jayuli. The Javan Langur is endemic to Java, Bali, and Lombok. In Central Java, they naturally occur in Mt. Andong, Mt. Merapi National Park, Mt.Merbabu, and several other locations.